Which one to choose? You know the health benefits of olive oil, read the reports in medical journals, lifestyle magazines, recipes, and heard that there are frauds and fakes. So as a consumer, how can you be sure the olive oil you put in your salads, pesto, pasta, in your saute pan, can be 100% extra virgin olive oil? 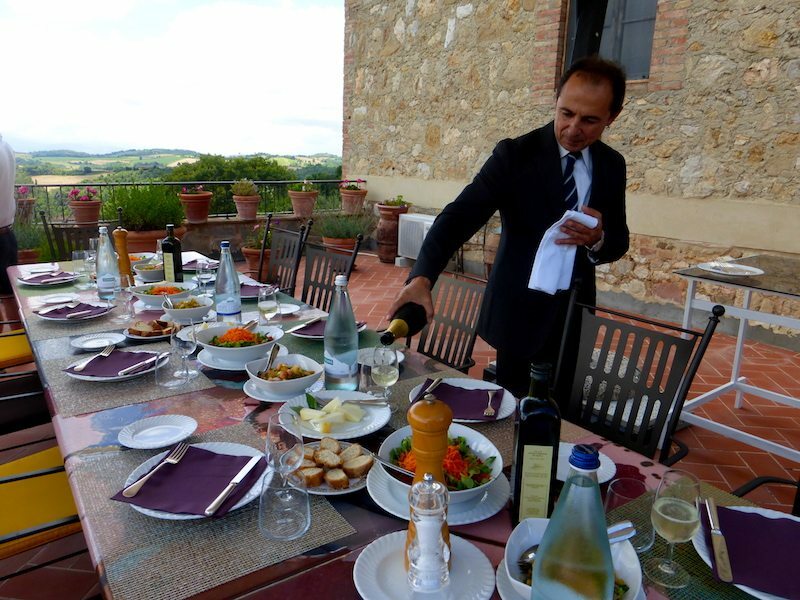 The olive is a stone fruit and extra virgin olive oil is like freshly squeezed fruit juice. 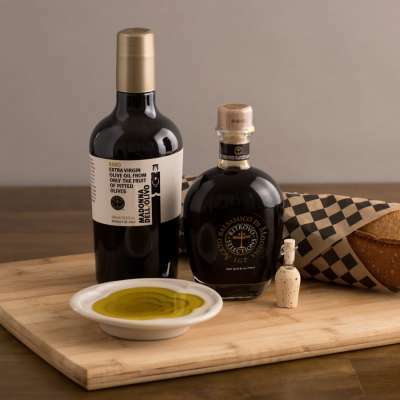 Made from olives ideally picked by hand, milled within hours, and crushed by a simple hydraulic press or centrifuge, extra virgin olive oil comes from the first pressing and free of any defects. Unlike other cooking oils it is the only one made without the use of chemicals, heat, or industrial refining. Because of the special way it is produced, it contains natural antioxidants, including polyphenols, a type of antioxidant that helps protect cells from damage. It is also rich in monounsaturated fatty acids, a healthier dietary fat, compared to saturated and trans fats. We are as passionate about quality of olive oil as you are and specialize in selecting only the highest quality, artisan olive oils. 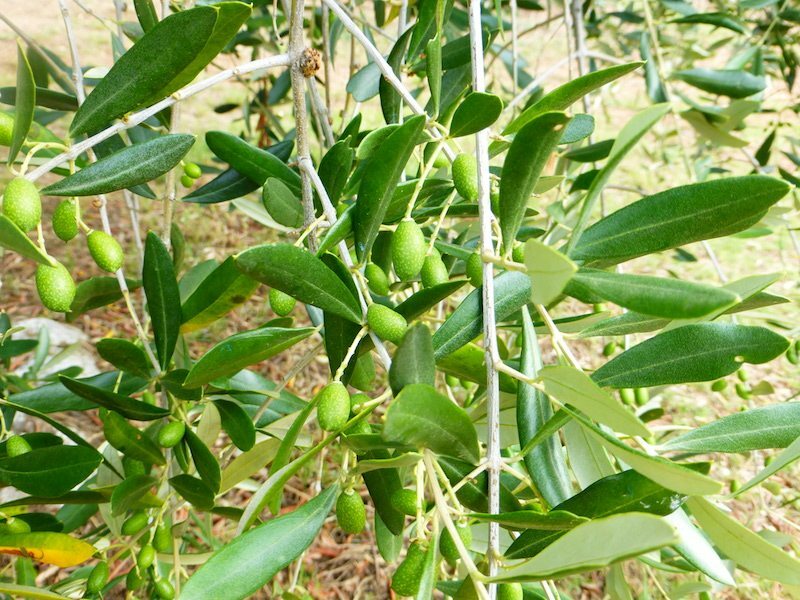 We know most all the growers, generational olive groves, and our producers are equally passionate about having their crop of olives produced in the best way. They are real people that run family owned businesses, large and small. 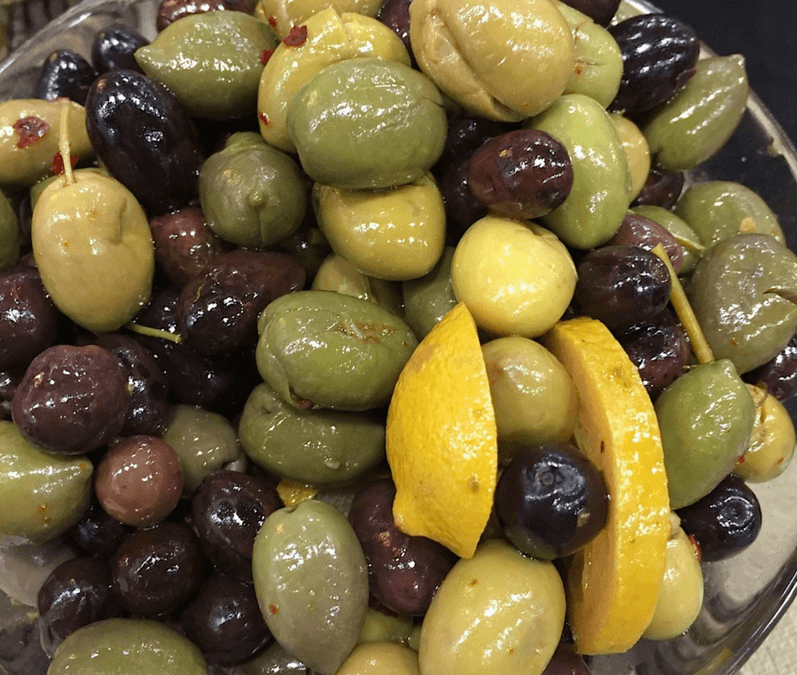 Olives grow best in a Mediterranean climate and because California has a similar climate, long dry summers and mild winters, it is growing more and more olive varieties. 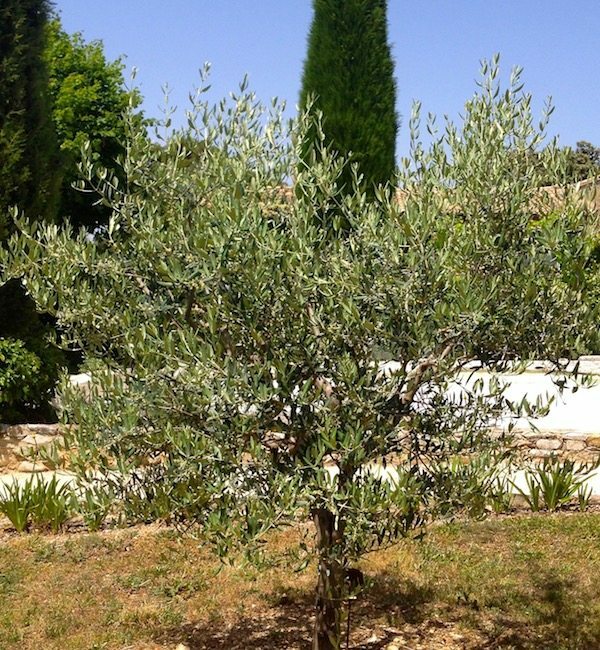 The trees are younger, the same olive produced in Spain or Greece may have a similar, yet different taste depending on the age of the tree, soil, climate conditions and when picked. Olive oil is best used within a year, and because California is so close, we can get the first press oils in December from many of our producers in California. The time between harvest in October/November and home can be as short as a few weeks. Imported oil can sometimes take until March to receive it. We want to have new oil from around the world on all our shelves by end of March…always providing our customers the freshest oil available. The seal of approval: The California Olive Oil Council has an extra virgin certification process. Each oil undergoes a chemical analysis that tests criteria for EVOO including acidity levels-cold pressed and has an acidity level of less than .5%. The oil then goes to the ‘super tasters’ who do a blind test to make sure it is extra virgin. The COOC Seal is applied. The imported oils have similar country seals and we look for award winners from Spain, Greece, and Italy. The New York Olive Oil Council every April has ‘super tasters’ from around the world rank the olive oils submitted (approx 800) chemical analysis included, and chooses the best oils in various categories. They taste, smell and rank. We look for the results of these ‘super taster’ winners and make sure the oil we choose for our customers fall into this category. We depend upon these results to add to our own education of choosing the best taste for our customers. Even amongst these certifications and awards, there are gradations of freshness, quality, and taste. We have visited many of our producers, we know them, trust them, and have built lasting relationships. But just like wine, every year is different so the tastes and harvests change from year to year. 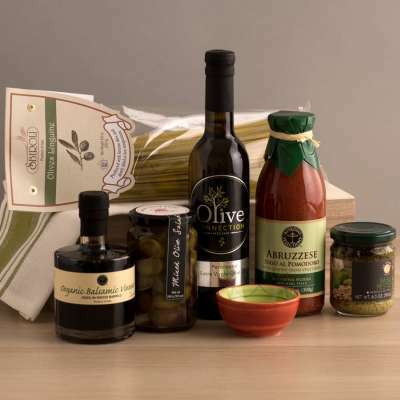 Each varietal of olives tastes different, and when infused with flavors like basil or garlic or lemon it takes your recipe to another level. 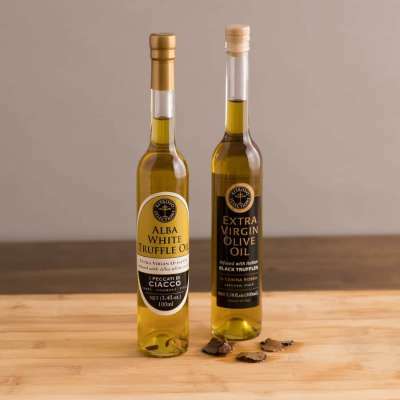 Blended olive varietals, just like blended grape varieties for wine, give another dimension to the olive oil. 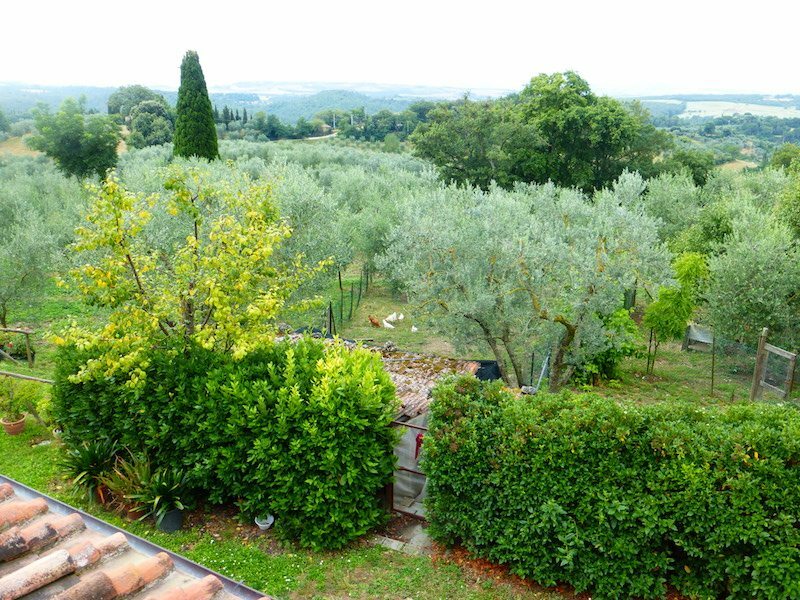 Italy is best known for their bended oils. 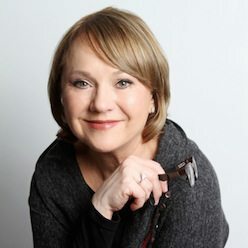 Here is what we know today! (The acidity content has to be under .5% for California to be an extra virgin olive oil. For the entire category, the FAA acidity level has to be under .7%) The polyphenols at a high level gives the lingering pepper in the back of the throat. From Greece our producer Koroneiki olive is acidity .16% and polyphenols 305. Typical tasting notes are: (Picual) Perfectly balanced fruitiness, bitterness, and pepperiness. Aroma characterized by a vibrant green olive fruit, freshly cut grass, tomato plant, artichoke and green almond, as well as hints of licorice and wild plants. Medium bitter and intense spices marry gracefully leaving a freshness sensation on the palate. 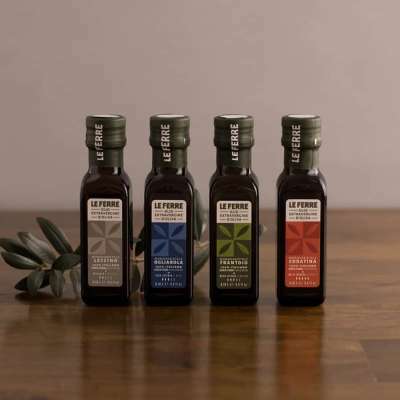 There are floating categories of delicate, mild, medium intensity, robust intensity, Oils for cooking and oils for finishing. Depending on use and taste, there are many choices. Tasting is important before choosing. And knowing what you like and what you feel your gift recipient will like. The taste of the food is enhanced with only the best ingredients. We are here to educate.